Who Do You Think You Are? magazine has announced a digital map of World War 1 projects so that people can find out about projects near them or where their ancestors lived. They are restricting the map to projects, events, exhibitions, tours, memorials, websites, even walks run by volunteers or those managed by organisations but where most of the work is done by volunteers. The good thing is that you can add your own project (use the Add Project link over the top of the map - don't try to open it in a different tab.) - extra publicity free. 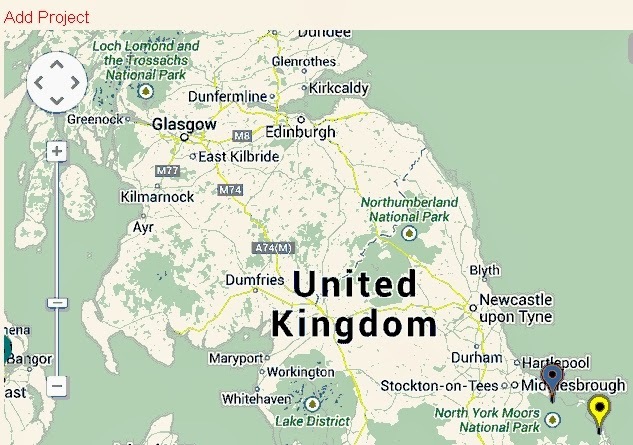 At the time I wrote this, only one of the several hundred projects is in Scotland (in Brora) and the nearest project to us is stated to be in Washington (Tyne and Wear) although its pin on the map is 56 miles away in north Yorkshire. It's probably a keying mistake but I've told the organiser anyway. That project is putting bronze resin poppies on houses from which men left Washington to go to war and did not return. Clicking on the pin shows the organiser's email address and phone number. To search for nearby projects, click the Search box at the top of the map and enter your town name and or a maximum distance from your post code. The number of pins found is displayed below the search box, eg 11 entries. You'll need to close the Search form to see the map pin entries found.